Halloween is past, and the air grows colder as we get ready for Thanksgiving, and the holiday season that follows. Time to grab a hot cup of tea or coffee, and dive into a great new mystery! And don't forget holiday gift giving! Books make the best gifts. Allie McMurphy is up to her neck in renovations at the grand old hotel that's been in her family for generations. With it's quaint Victorian Charm - and world-famous fudge shop-the place is one of Mackinac Island's most beloved landmarks. Sure, every family has a skeleton or two in the closet. But Allie didn't expect to find an actual corpse inside hers, especially one Joe Jessup, who had a long-running feud with her dear departed grandfather. Which makes Allie the number one suspect. Can she sniff out the culprit before another victim checks in? 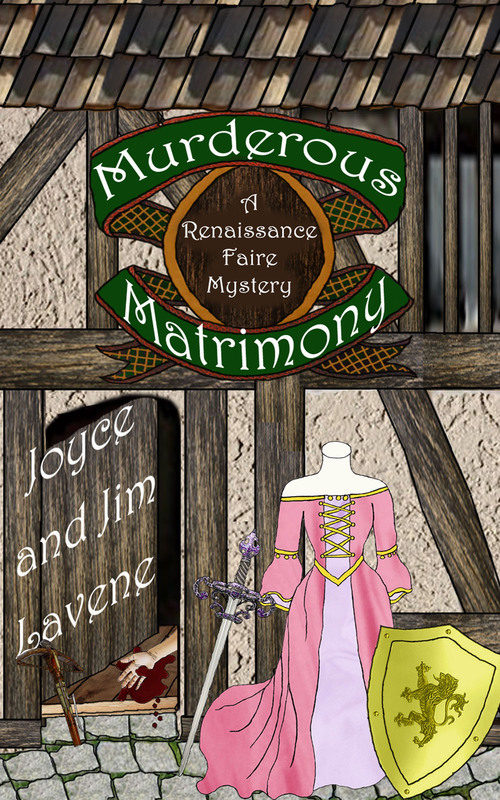 In less than two short weeks, Jessie Morton will marry Chase Manhattan at the Renaissance Faire Village and Marketplace in Myrtle Beach, South Carolina. But so much can go wrong in that short time. A man is murdered in Jessie's new Arts and Crafts Museum, and her assistant is being scrutinized for the deed. Chase's brother and parents have arrived and are still against their marriage. Wanda's blue ghost is busy making Jessie's life miserable. The Ren Faire wedding of Jessie's dreams may never take place. Can she talk Chase into eloping before it's too late? Trying to escape her overbearing mother, vintage kitchenware enthusiast and soon-to-be columnist Jaymie Leighton retreats to her family’s cottage on Heartbreak Island. While there she hopes to write an article about the Ice House restaurant, owned by good friends and neighbors, siblings Ruby and Garnet Redmond. Once and actual ice house, the restaurant is charmingly decorated with antique tools of the trade, including a collection of ice picks. One night, while working on her article, Jaymie overhears an argument, and, ever the sleuth, sets out to explore. But when she stumbles upon a dead body, her blood runs cold. It’s Urban Dobrinskie, whose feud with the Redmonds is no secret, and he’s got an ice pick through his heart. I got a sneak peek at All Fudged up and posted an early review. I truly enjoyed the book and the characters. 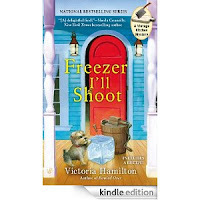 Murderous Matrimony is now on my look for it list, and I own a copy of Freezer I'll Shoot. I hope to read that one over the weekend. 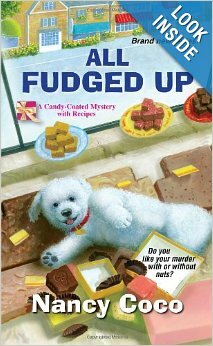 All Fudged Up sounds like a delicious mystery! Looking forward to it.